I have created a new condition and chosen the correct fields to use. However, when I go back to check I've done it correctly or when I want to test run the form, it doesn't work. Then I noticed that not all the fields I've chosen are being saved. I've attached a screen shot of what it looks like. The uploaded screen shot is the bad picture; what it's NOT supposed to look like. The one below is the good one (scroll right). While reviewing your form I noticed that you were able to create the condition properly. I also noticed that this condition was created multiple times. Please review your condition and eliminate the duplicated conditions. Thank you. I deleted them several times and redid them from scratch. Each time 'date of task' infiltrates and makes itself the from field in the do box. I think there is a glitch somewhere. I just tried completing the same type of condition on a different form and it chose the first field on the form and not the field I chose. Sorry to hear you are still having issue. I just clone your and notice that you did not have this condition. I also noticed that this condition i trying to copy the date value into a number field. Can you please indicate exactly what your issue is so we may be a better help. I think I am not understand you correctly. I'm trying to set up a condtion that pulls the information from one field, say Group Presentation Title on the 1st page of the document, putting it on the other pages' similarly named fields. 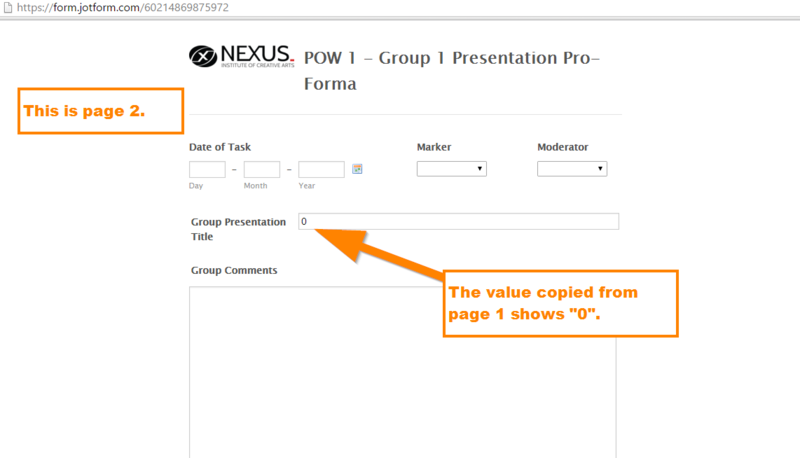 so, if Group Presentation Title (6) is filled then take the value/information from (6) and put it in Group Presentation Title (18) as an example. 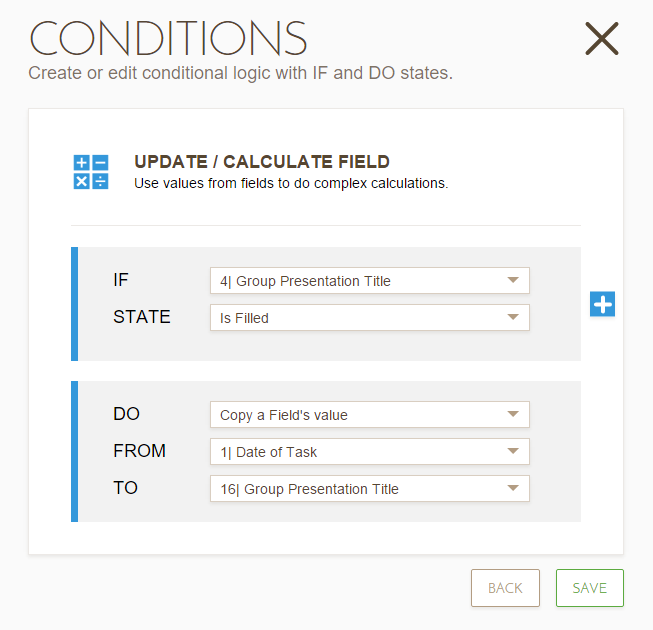 However, the 'take the value' section on the condition creator is taking the information instead from the very first field on the document and won't change from there. It doesn't seem to matter which form I'm using which suggests to me there is something wrong with the widget as this didn't happen when I did this before a few months ago. I cloned your form and checked it in my end. 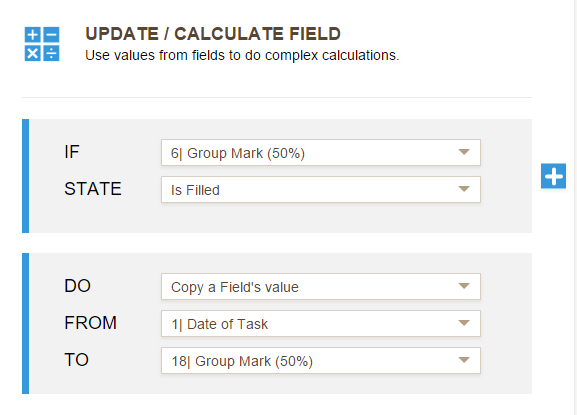 It seems you have multiple sections that are duplicates, you want to copy a field value from page 1 to a similar form field on page 2, something like that? I'm copying the value of "Group Presentation Title" from page 1 to "Group Presentation Title" from page 2. However, it outputs a value of "0". 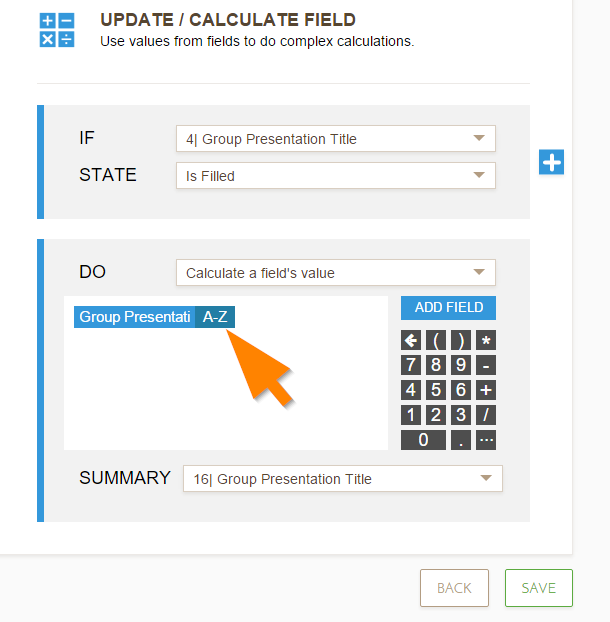 Choose "Calculate a field's value", fetch the value of the form field using the "Add Field" button. Make sure to set the variable to "A-Z" and not "0-9". I am not sure if that's the same problem you are having, but I have forwarded this observation to our developers to have it checked and fixed. t keeps trying to take information from the very first field on the form no matter what form I am working on. It's very frustrating. I am creating these for university level exams (presentation assessments) so they need to be as slick as possible and done this week as exams are next week. If there is any further help you can offer that would be wonderful. I know the issue and stared to look at it. I will let you know as soon as I finish it. On behalf of the entire jotform team. you are welcome. Please let us know if you require any addition assistance. I am experiencing the same issue on my form, it is copying values over as 0. I tried the workaround mentioned up above as well and having no luck. https://form.jotform.com/60256907680965 , here is the link to my form. I am trying to copy the equipment address fields from the first section to the same fields in the third section but have them display as read only on the third section. 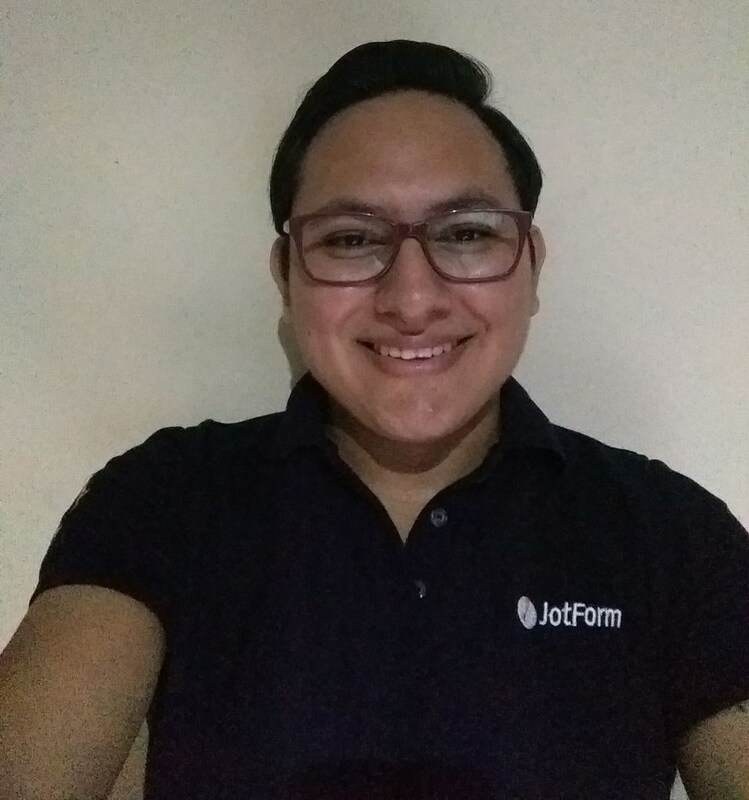 Your question has been addressed here: http://www.jotform.com/answers/759104. We will assist you on that thread.